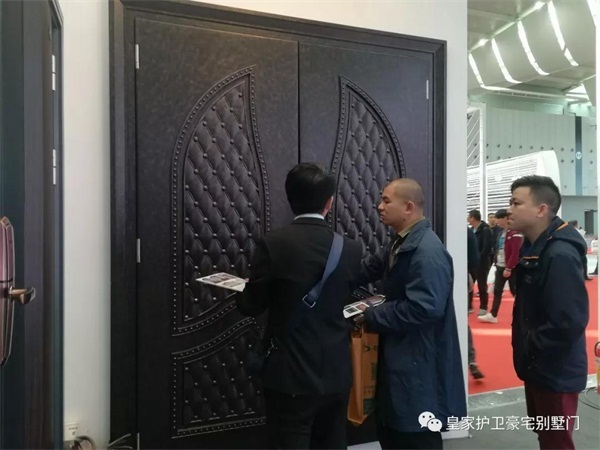 In March 10th, -12, the Ninth China door and window fair and the brand "Royal Guard" under the brand of Guangdong Bi Da door industry, the new product China Merchants will be held as the theme of 2018. 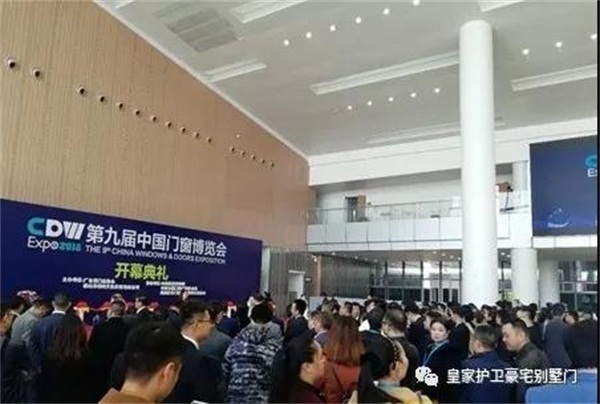 This exhibition is located in the new Foshan Tan Zhou International Convention and Exhibition Center, and the luxury villa door brand of the Boda door industry Limited by Share Ltd in Guangdong - "the Royal guardians" is also the first appearance of the exhibition. The "Royal Guard" series of products have been highly recognized and loved by spectators, peers and experts at the exhibition. 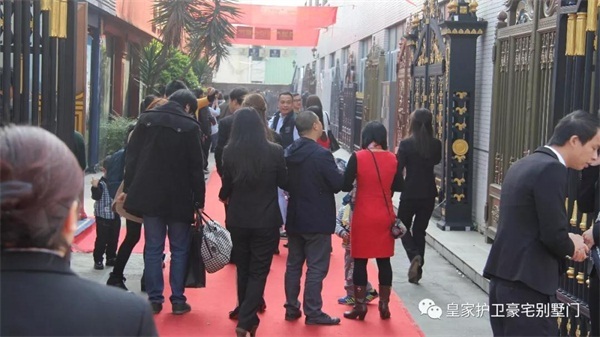 The exhibition area of the "Royal guardians" house is 200 square meters. 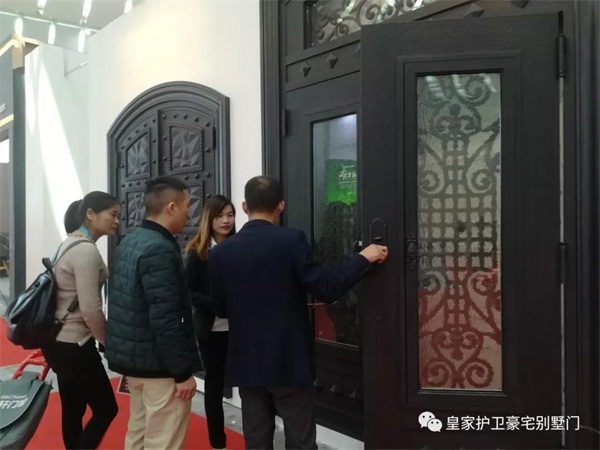 The scene focuses on the four main products of the enterprise culture, brand development and entrance door of Guangdong Bi Da door industry: Modern German smart door, new Chinese style villa entrance door, engraving cast aluminum art gate and American classical gate. 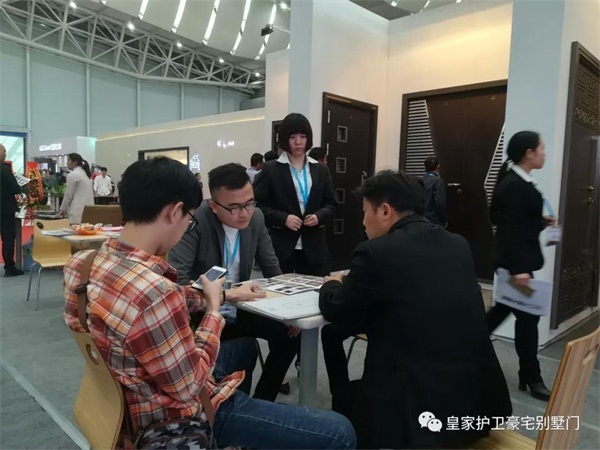 Each of the visitors to the booth, all the same one after another to lift the mobile phone (camera) to shoot every detail of the product, inquire about the process characteristics of the product, terminal consumer positioning and market trend orientation and so on... 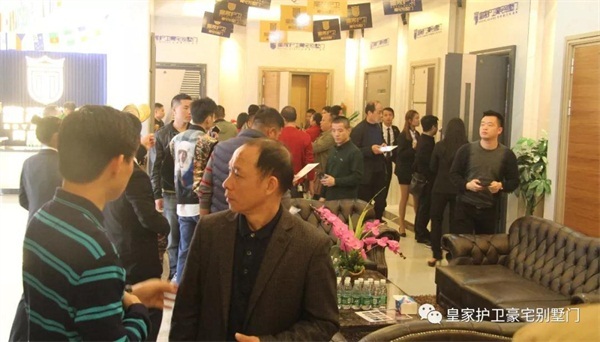 Through the spot to the product contact, and understand our unique mode of operation and cooperation, a lot of dealers and agents from all over the country, in the scene, expressed a very strong join and agent will. 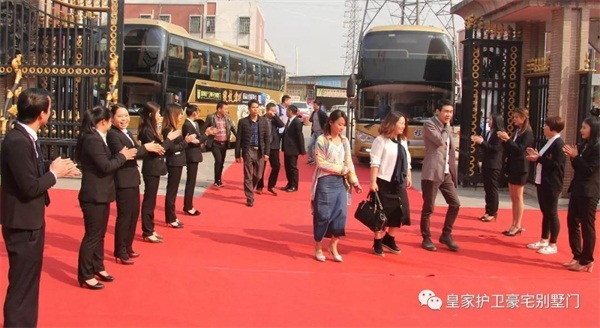 On the afternoon of March 11th, the "Royal Guard" mansion villas door was held at the Vienna Hotel high tech Zone of Foshan. 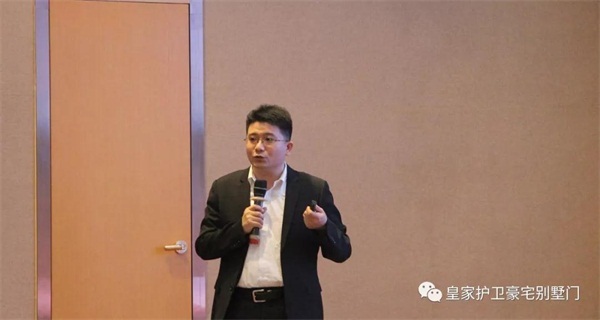 In the meeting, Li Bijian, the chairman of the Guangdong Bi Da door Limited by Share Ltd, made 8 major strategic keynote speeches; the quality manager, Chen Wei, made the product quality explanation; the marketing director Liu Shixiong has made the new future theme sharing of the ingenuity and the transformation of the door industry. Through sharing and in-depth understanding, dealers and partners from all over the country decided to join and represent the brand. 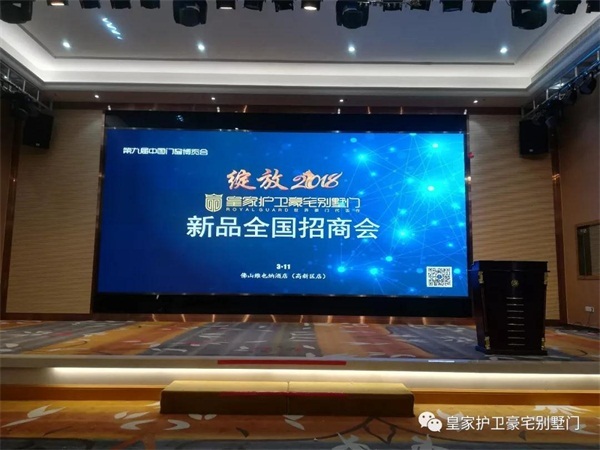 At the same time, Guangdong's Limited by Share Ltd has been very grateful to the partners of this investment promotion conference. 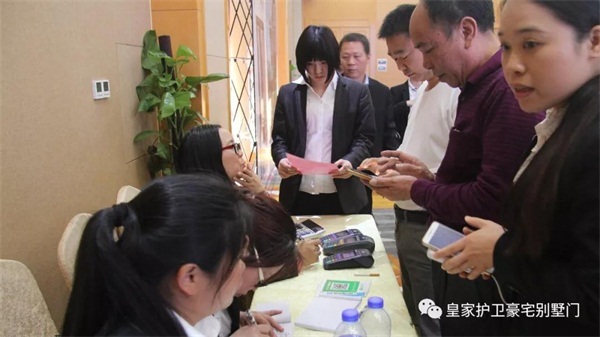 During the period, we also visited the production base of Guangdong Bi Da door industry. 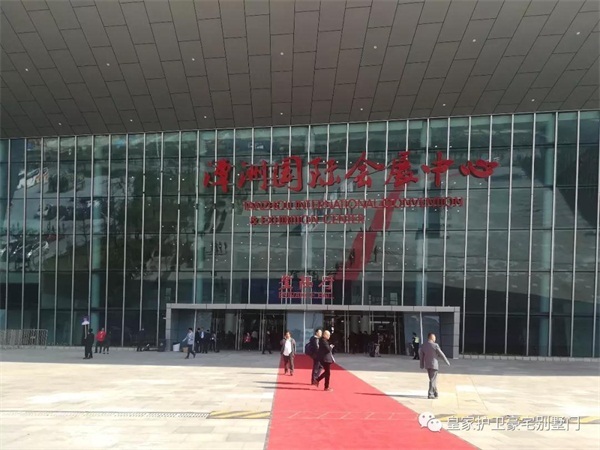 Through visiting the factory and experiencing the new exhibition hall, we have strengthened the confidence and determination of the scale and brand influence of the enterprise. 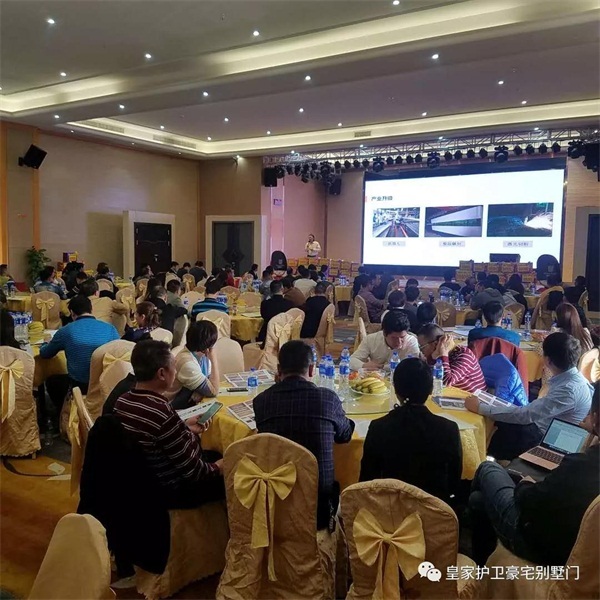 On the morning of the 12, the new and old partners could not wait to come to the business operation headquarters for the training of sampling and product marketing system. 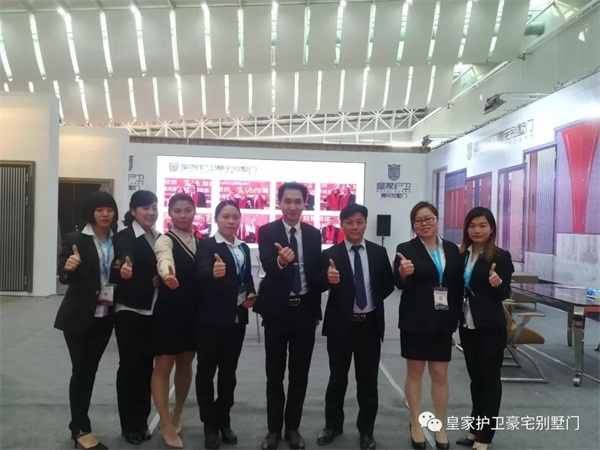 Through this exhibition and investment promotion meeting, Guangdong Bi Da door industry will join hands with the new and old partners to bloom 2018! 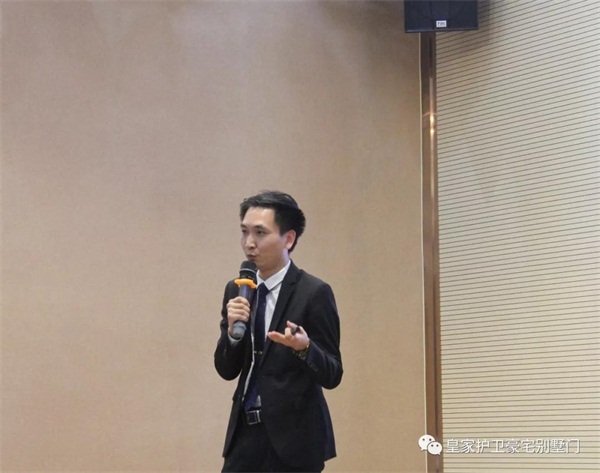 At the fastest speed, new products, new needs and new services will be quickly made to the market and gain profit quickly. 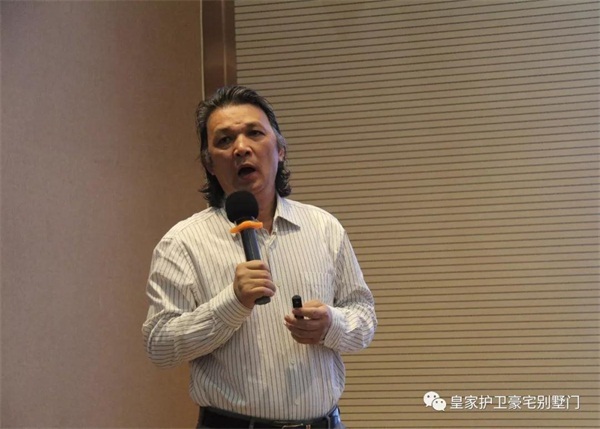 The market will be occupied by the new, faster, more accurate marketing strategy and profit model, so that everyone can truly achieve the win-win situation.